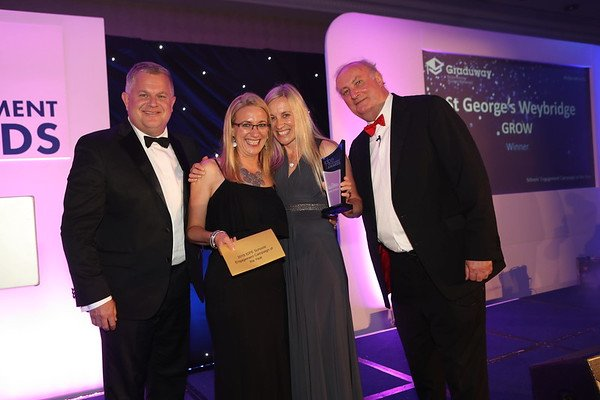 St George’s Weybridge and the GROW Fundraising Campaign which was launched in February 2017, has been announced as the WINNER of the IDPE (Institute of Development Professionals in Education) Engagement Campaign of the Year award. The winning campaign was announced at the IDPE Conference on Monday 11 June. St George’s Grow is a campaign that gives you the chance to play an essential role in the future of the school – ensuring that it can continue to offer the very best to its students. Grow resonates with growth in knowledge, spirit, confidence, facilities, opportunities and wisdom. By giving to Grow, you could help ensure that we can continue to offer the best education to every student who steps onto our campuses. St George’s is thrilled to receive this award and wants to thank the IDPE and the staff directly involved in the Grow campaign.